IRCTC introduced on-the-spot billing generation for payment of food items on-board trains. "Now passengers will be able to get bill generated on-the-spot on-board trains from Point of Sale (POS) hand-held machines for payment made towards the purchase of food items." "This will help in not only making the passengers aware of relevant information but also address passenger complaints regarding overcharging by the vendors," an Indian Railway Catering and Tourism Corporation (IRCTC) statement said. It added that all licensees managing mail or express trains have been instructed to ensure availability of minimum eight POS machines per rake for billing of every transaction of food items. "At present, 2,191 POS machines have been made available in trains with pantry cars. We are also planning to increase the number of these machines for complete coverage," the statement said. An inspection drive will also be launched on all mail and express trains from January 26 to February 15 to ensure the availability and working of POS machines. "This will ensure that proper bill is issued to all the passengers in case of purchase of food items. 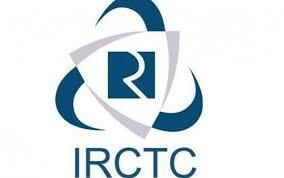 In case of deficiency, a suitable penalty will be imposed on the caterers," the IRCTC said.